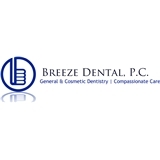 Breeze Dental, P.C. (Aurora) - Book Appointment Online! Dr. Melissa Farbod and her staff at Breeze Dental combine their passion for dentistry with a desire to help others who want to achieve their highest oral health. We provide comfortable individualized care in a relaxed environment. We want to be YOUR dentist! I think Melissa and staff are really great and professional. She always answer questons and concerns.